*the aged years is now illegible. WPA records this as 26 and the 1860s census lists her as being 23 years old which supports her age as 26 at death. 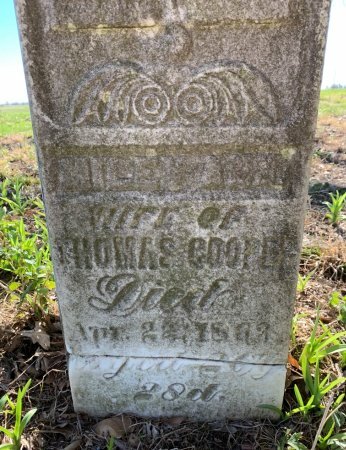 Searching for MILEY ANN COOPER in Ringgold County Iowa?